A lot of Indians travel by Railways and thus have to spend a lot of time on the railway stations. As many of them don’t have internet on their phones, they get bored and waste their time, sometimes even hours doing nothing. However, this will be a thing of the past soon. Everyone craves for a free Wi-Fi. What if we get a free high-speed Wi-Fi at our disposal? You’ll jump in excitement, right? So will I. Remember when Google CEO, our Sundar Pichai announced to provide free Wi-Fi services at 400 railway stations across India? This will be in partnership with Indian Railways and RailTel. They’ve already started working on this project, and Mumbai railway station is the first to get free Wi-Fi from Google. The APN name is ‘RailWire’. Google plans to cover a total of 100 railway stations by the end of the year. While Google didn’t share any detail about the speed of the Wi-Fi and the list of the other stations, it did share that Allahabad, Jaipur, Patna, and Ranchi are the next in line to get free Wi-Fi service. The free Wi-Fi will not only let you browse the web, but will also let you download stuff and stream videos online. You can also download videos via the YouTube app so you can watch them later. 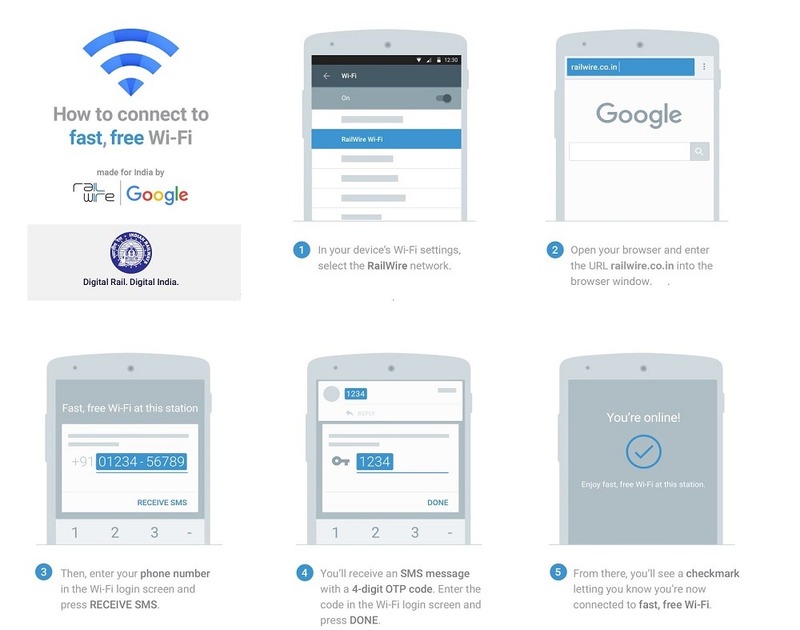 To enjoy this free Wi-Fi service, all you have to do is connect to ‘RailWire’ network, open railwire.co.in on your mobile browser, enter your mobile number, and verify it by entering the OTP that you’ll receive on your phone. That’s it! You would be able to access this free Wi-Fi service on up to 3 devices including your mobile phone. The only requirement is that you must be using an Indian mobile number to be able to access this free Wi-Fi service. As this Wi-Fi is entirely free to use with no limitations, some restrictions will be put in place to avoid its misuse. You will notice a drop in speed after your first free hour of usage, but you will still be able to use the internet. “Most people in India do not have high-speed connectivity. Sadly, connections here are among the slowest in Asia. According to some sources, only around 2 to 4 million households, in a country of 1.3 billion people, have a connection fast enough to stream an HD movie,” said Gulzar Azad, Head of Access Programs at Google India, in a blog post. Google wants to change the way Indians interact with the internet. It is a painful process to browse the internet at slow speeds. That’s why Google is offering free, fast, and open internet to all Indians via this RailWire service. Upon completion, this RailWire project will be the largest public Wi-Fi project in India. 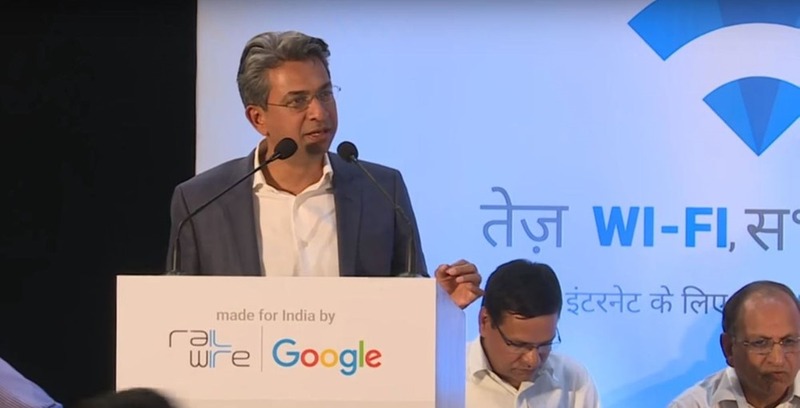 By providing free Wi-Fi services at 400 Railway stations in India, Google will be contributing a lot to the Digital India campaign. "Mumbai Central Station Gets Free Hi Speed Wi-Fi From Google. Allahabad, Jaipur, Patna, and Ranchi Are Up Next", 4 out of 5 based on 6 ratings. I am a diploma engineer, want to start [ establish a factory] the cement base production factory, it is a new concept for waterproofing treatment and also first time in india. Approximatle within 25 to 30 lacs to start the production.So I here by invite the invester or sleeping partner,Those Who have interesting to invest I ASSURE YOU A GOOD RETURNIG . It will be free for the first week, after this some restrictions will be added. Take note, Facebook! Google knows that Internet access is a right, and they are delivering! Bring Free Basics so that it is real free Internet, not free Facebook only!